Ben & Jerry’s is known for their wacky ice cream flavors. They invented Chubby Hubby, Wavy Gravy and (yes) Schweddy Balls. Most of their experiments are delicious. This pregnant mama is currently eating a tub of Half Baked for breakfast. But their latest additions sound almost unreal. 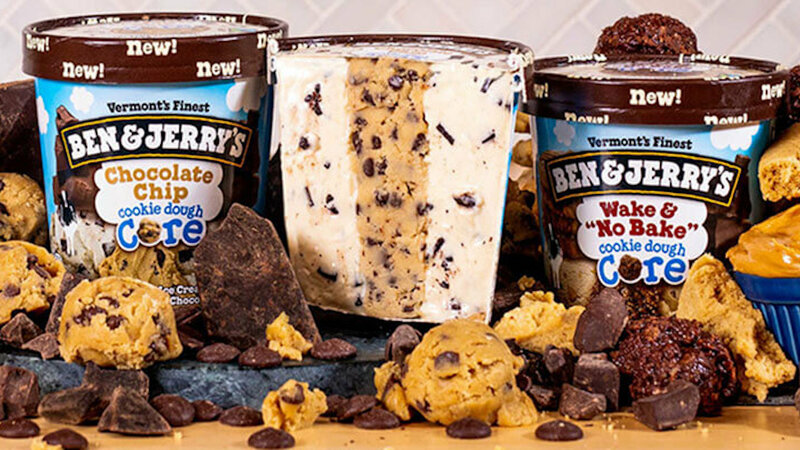 Each of Ben & Jerry’s new flavors are packed with deliciousness and have a thick cookie dough core. Ben & Jerry’s Cores line includes pints of ice cream with a cylinder of sweet deliciousness running straight down the middle. Previous cores have included salted caramel, brownie batter and peanut butter fudge. And while each of these iterations were — hell, still are — ingenious, the new cookie dough cores take things to the next level, because these bad boys have a giant vein of cookie dough smack in the center. The new flavors include the Chocolate Chip Cookie Dough Core, which contains “cookie milk ice cream… fudge chips and a chocolate chip cookie dough core.” The Sweet Like Sugar Cookie Dough Core is a blend of sweet cream ice cream, shortbread cookies, cherry ice cream, cherries and a sugar cookie dough core, and the Wake & “No Bake” Cookie Dough Core combines vanilla ice cream with peanut butter cookies and peanut butter ice cream. The new flavors are available online and, according to Ben & Jerry’s, should be in Scoop Shops and grocery stores soon, so keep your eyes peeled. We are sure these frozen snacks will be flying off store shelves.